Worldwide, water has become an increasingly scarce natural resource. While the spiralling population is usually given as the reason for this, as so often is the case, it’s not that simple. There are a myriad of other factors. These include large scale single crop farms – which rely heavily on irrigation – to factory farming and modern manufacturing processes. And don’t forget the modern lifestyle, which would be incomplete without labour saving – but water hungry – appliances such as dish washers, washing machines and power showers. And that’s without even getting into the ever contentious subject of climate change (!). Ironically, many of these water hungry activities are also responsible for growing levels of water pollution. The fertilisers and pesticides needed for intensive farming, which are then washed into natural water courses. The effluent from factory farming. The detergents and other chemicals needed for sparkling dishes, clean clothes and bodies. While we would like to think that all possibly harmful or toxic substances have been removed during the treatment of used water – sewage – this is just not the case. Without going into too much detail, the processing of sewage has changed very little over the past few decades. Treatment starts with the use of screens and filters to remove any large or foreign objects. We’ll leave that one to your imagination (!). It then passes through a series of tanks where the sludge is removed, before reaching aeration tanks where bacteria help to break down the remaining sewage. Finally it’s filtered through sand beds before being returned to rivers and streams. The remaining sludge may then be used to produce electricity or gas or dried to produce fertiliser for crops. While the quality of the end product may be subject to strict Environment Agency standards, the sheer number of possible contaminants make it impossible for all of them to be covered. At the same time – and something people prefer not to talk about – is the increasing number of times water is recycled to be used again. Water from one activity is treated and then returned to a river, before being pumped out further downstream to be used again. Or finds its way directly into natural aquifers, rivers or reservoirs and later extracted for use once again. Of particular concern are increasing levels of pharmaceutical products found in the drinking water. In theory, they should become inert within a short period of time of being taken or broken down by the body before being excreted. However this is not always the case. In recent years much publicity has been given to changes in fresh water fish, as a result of residues from The Pill and HRT, but this is only the tip of the iceberg. Current concerns are focussing on the widespread use of medications such as Ritalin and Statins. With all these new factors to take into account, it’s easy to assume that the treatment of water for drinking would have changed in recent years. However, again, this is not the case. Treatment begins with the use of screens and filters to remove sediment and other particles. Chemicals may be added to the water to assist this process, causing particles to clump together, making them easier to remove. Chlorine is added to help kill bacteria and other organisms. 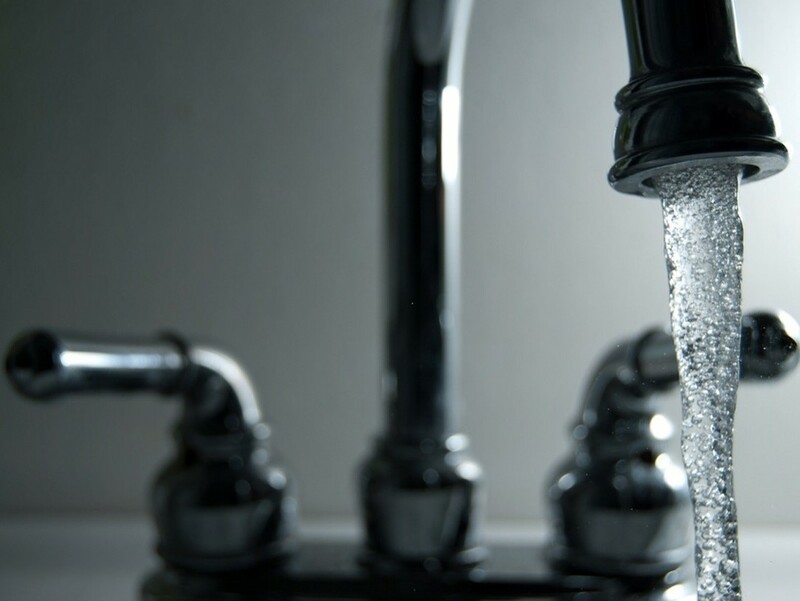 Increasingly other chemicals, such as fluoride – which is to be the subject of a forthcoming blog post – are also added to the water as it leaves the treatment plant for people’s homes. And finally, there are the water pipes themselves, which carry water from treatment plants to your tap. Replacing ageing pipes is a costly and time consuming process, which many water companies simply can’t afford. Bottled water is a solution many people are switching to, although this is not without its problems – not to mention cost. At the very least, if you do opt for bottled water make sure the bottles which are BPA free – BPA disrupts hormones among other things – or from glass bottles. We know that glass bottles are heavier, more expensive and less robust; but they don’t have the problems associated with plastic ones. And a quick word of warning. Don’t be fooled by pictures of pristine mountain streams. Many products are little better than the water which comes out of your tap at home. You have been warned! A simpler and more cost effective solution is to filter your water at home, whether using a filter jug or filter unit plumbed directly into your kitchen supply. While no filter system – however complicated or expensive – will guarantee 100% water purity, they will remove many of the potentially harmful substances.